Besides IBM Notes and free viewers, there are no other applications, which support .dxl file. In order to operate DXL emails in Microsoft Outlook email client, users need to export files from Domino DXL file to PST format. This tool will be generating UNICODE PST file, which will be supported by all Outlook versions. Lotus Notes DXL to PST migrator permits end users to have a look on emails, which they are going to be exported in Outlook. One will be able to view message meta properties like To, Cc, Bcc, subject, message body part, etc. Apart from this, attachments will also be previewed by viewer functioning of this exporter. It is possible that when users import resultant PST file in Outlook, they might be facing the problem of 2GB size limitation. For totally eliminating the occurrence chances of this problem, DXL file to PST importer tool is offering an option to truncate the output PST file in any desired size. 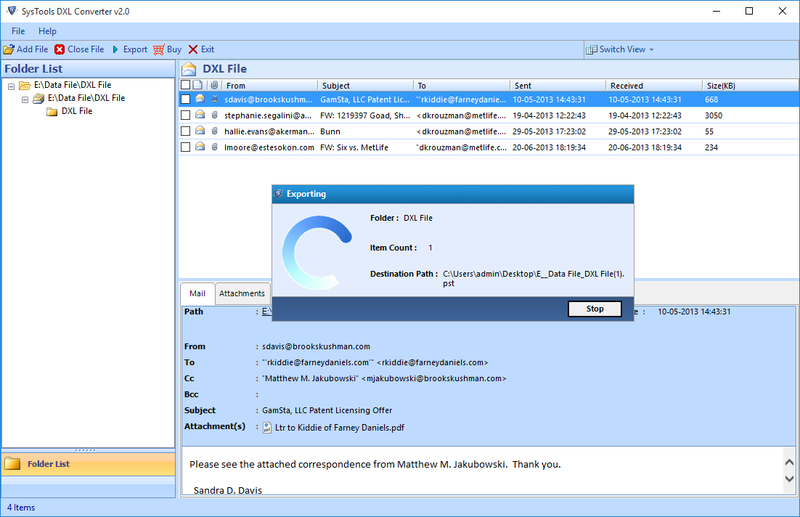 DXL to Outlook file converter tool provides an option to perform email filtering on basis of some specific date-range. One just need to mention To – to – From period and then, software will be automatically exporting emails of that time duration without any stuck. Users are permitted to save resultant PST file in a new folder on their local machine. They do not have to create this new folder separately on PC, instead they can originate this folder directly from the software panel. Moreover, users can change the default name of PST file as per their management need. 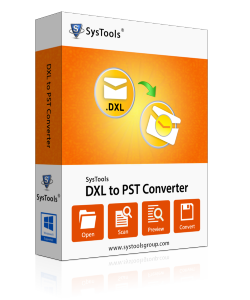 At last, DXL to PST Converter will show the entire conversion success / failure count. Users will be easily able to track that how many emails are / are not exported in the Outlook storage format. Apart from this, customers are provided with an alternative to save exporting report in CSV file format. 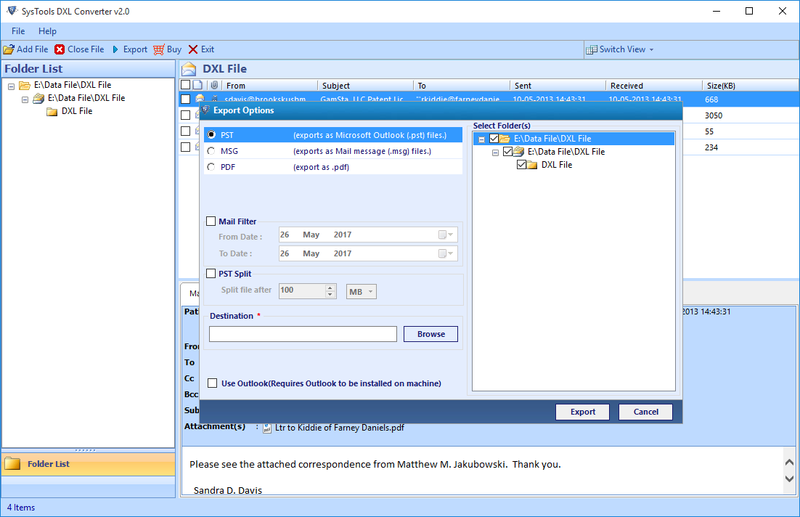 Due to high maintenance cost and difficulties while managing data in the IBM Notes, users are keenly searching for approach to move DXL emails in Outlook. Talking either about an enterprise user or a home computer user, Microsoft Outlook proves itself to be the best for all types of technicians. As such, there does not exists any manual approach for performing DXL file to PST conversion therefore, the only solution is to migrate emails with help of third-party utilities. Is there any need for having Microsoft Outlook installation on my machine for performing migration with help of your DXL to PST Converter? Yes, installation of Microsoft Outlook is mandatory to perform migration, acting as a supportive program for our software. Can I save DBX emails of only one day in PST file format? Yes of course, to accomplish this date filtering task, you just need to mention identical date in To and From field. Will I be able to perform DXL file to PST migration on Windows 10 with help of your utility? Yes, our software is Windows-based, which is supported on all of its versions including the latest one. Is there any guarantee that your tool will be keeping email attachments in same number, as they were before migration? Yes for sure, the tool is developed with such high-tech algorithms that it guarantees the conversion from Lotus Domino DXL file to PST without any harm / changes in email message and attachments. "It was actually a quite relieving moment for me when I came to know that there is a perfect solution to export IBM Domino DXL file in PST format. This product was actually recommended by my senior who is actually a regular customer of freeViewer applications. Well, when I used this DXL to PST converter, the experience I had with this software is totally different from all others, which I have used till now. This exporter product is really a brilliant solution!" 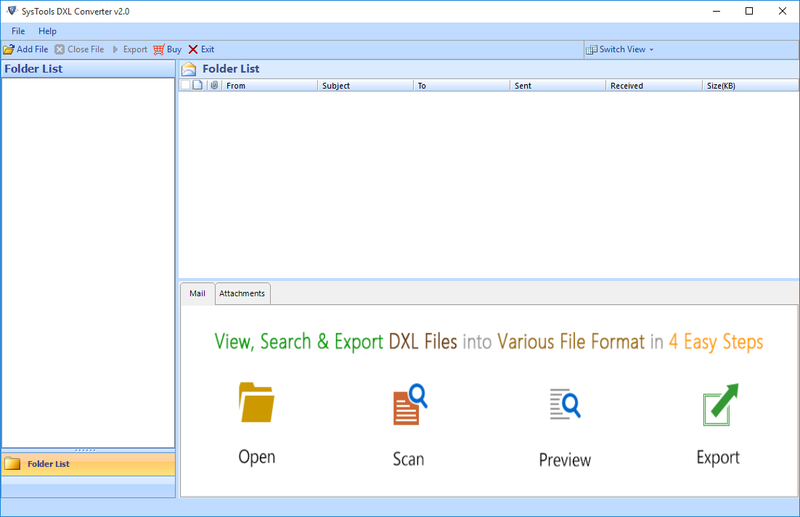 "My high gratitude towards the developers of DXL to Outlook PST file converter. Due to the absence of supportive programs, it was difficult for me to view emails of DXL file on my machine. However, I was having Outlook installed on my system therefore, I converted folder of DXL file into PST format via this tool. After this, I imported output PST file in Outlook and then, finally I was able to open and read DXL emails in Outlook without any data integrity issue." “This Lotus Notes DXL to PST converter tool helps me to convert DXL files to Outlook PST file format. 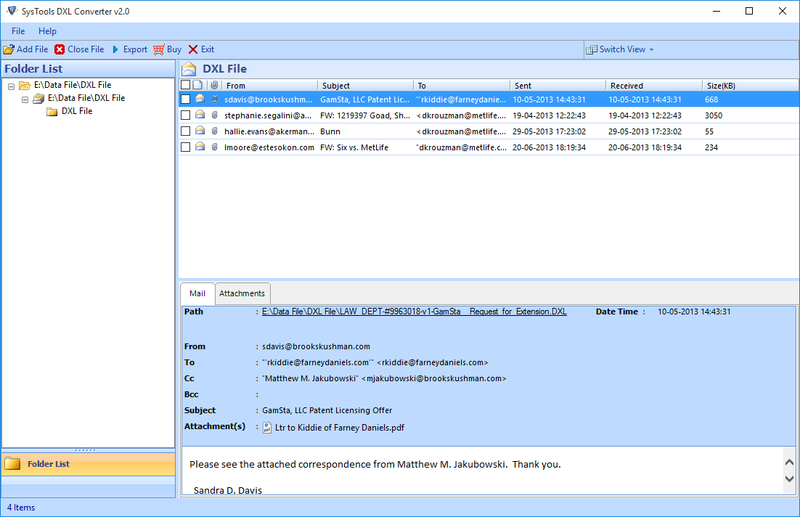 This tool is capable to generate Outlook PST of UNICODE type. This tool is amazing as it provides simple and good graphical user interface. Thanks for creating such software.!!" “It was really difficult for me to view Lotus Notes DXL emails on my computer system as I don't have supportive software. I urgently need to read DXL files for some information. But, this DXL to PST converter is very great tool I must say. This software allows me read DXL emails. Thanks a lot."